I was sitting at my computer editing when a message from Toni popped up. “Are you free August 3rd?” she asked. Having already shot their Nostalgia Country Hall wedding, I knew that this was the date of Toni and Paul‘s first anniversary. Obviously, I was dying to know what she had in mind! Crossing my fingers, I checked my calendar. I was available! Toni and Paul had planned their wedding around their vision of getting married on the deck of the old house at Nostalgia Country Hall. When their wedding day came and the rain did not let up, they reluctantly moved their ceremony indoors. 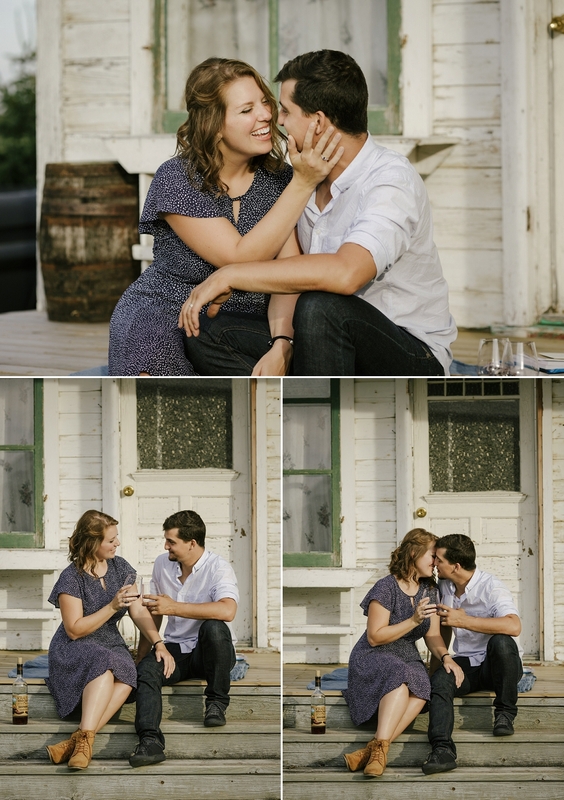 So for their first anniversary, she wanted to surprise him with a romantic picnic on that very deck. Toni admitted she’s not good at keeping secrets because she gets too excited. To top it off, Paul is notoriously difficult to surprise. But Toni was determined to pull this one off. A plan was hatched. That evening, I snuck onto the grounds and lurked in the bushes until they were ready. Turns out I’m a great lurker and Toni is better at keeping secrets than she thought! Paul was completely surprised – mission accomplished! Together they reminisced about their wedding day over snacks and wine – the anticipation, their romantic first look in the rain, the sweet moments (and a few bloopers!) during their ceremony, the celebration shared with family and friends who joined them from places near and far. Toni and Paul are the kind of people you just want to hang out with – warm, friendly, funny and kind. I’m so glad I got another chance to do so. It was an honor to join them for this third milestone and to document a love that is stronger than ever. 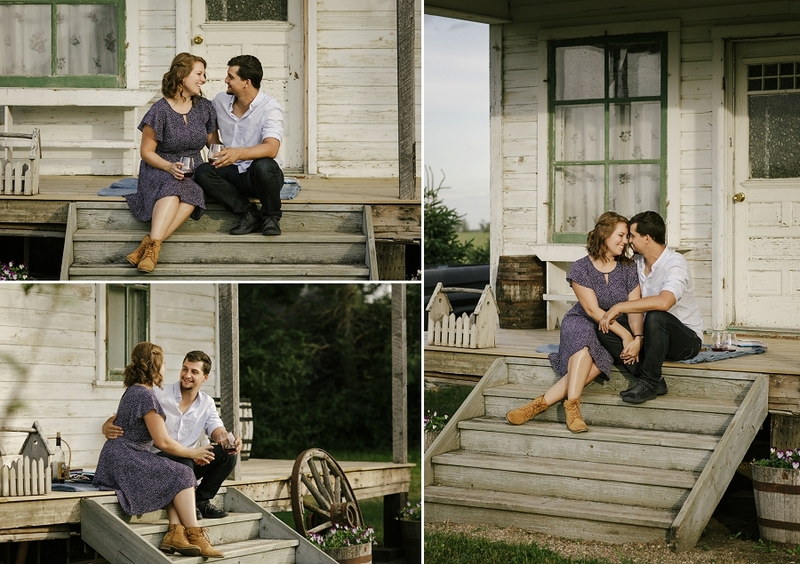 Copperblue Photography Design is a Saskatoon wedding photographer specializing in rural weddings, outdoor weddings and tent weddings. 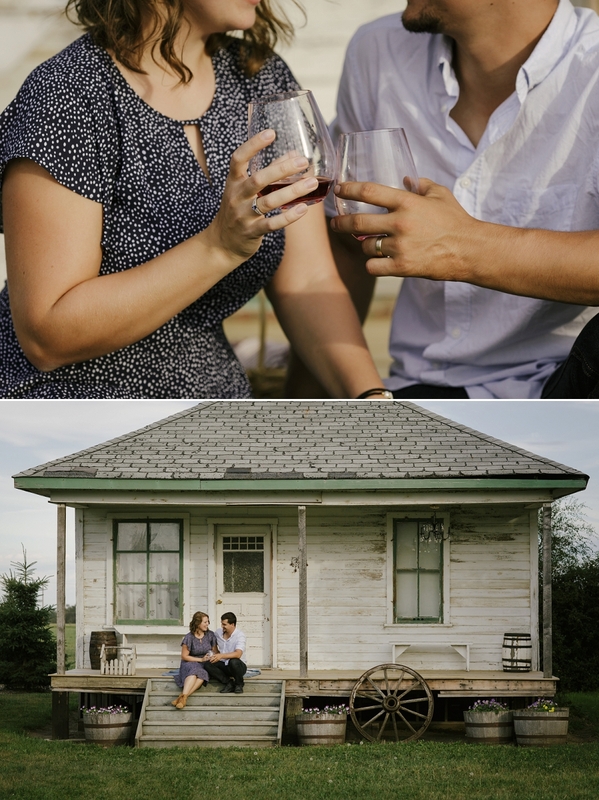 Servicing Agar’s Corner, Circle H Ranch, Champetre County, Nostalgia Country Hall, The Glen at Crossmount, The Barn at Wind’s Edge, On the Farm Weddings, and other country wedding venues across Saskatchewan. I just love this whole thing so much! What a wonderful way to celebrate their anniversary! I loved the idea so much too, and it was so fantastic to work with them – and at Nostalgia Country Hall – again! this is one of my favorite sessions of yours! SO GORGEOUS! Apparently I’m a pretty good lurker haha! It was such a fun evening! Love this location. What sweet images! Thanks Rose! Nostalgia Country Hall is such a great wedding venue and the surrounding area is perfect for photos! What a beautiful idea! These are GORGEOUS!! They are too adorable! Thank you Diane! I love the idea and the opportunity to work with them again! 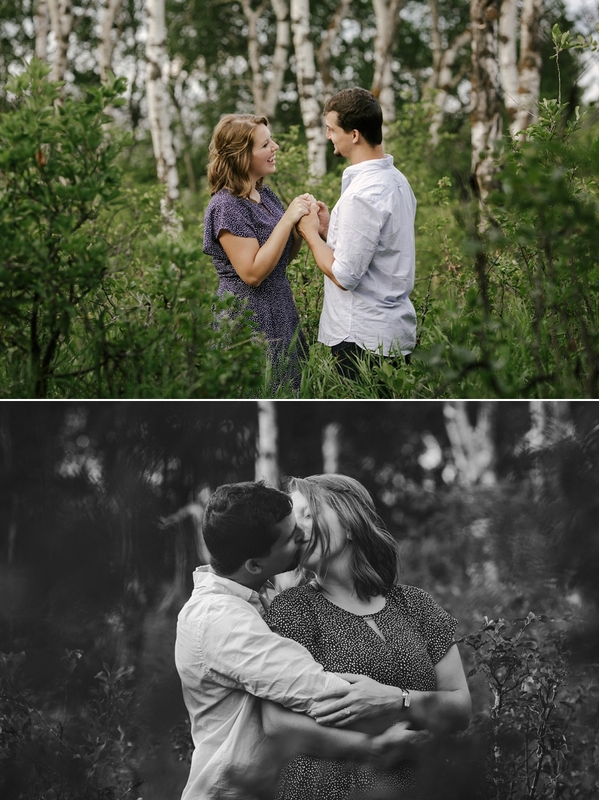 Would love to do more anniversary sessions! This is a beautiful location! Every single spot here is a dream! Right? Nostalgia Country Hall is such a great wedding venue and so fun to shoot other sessions there too!